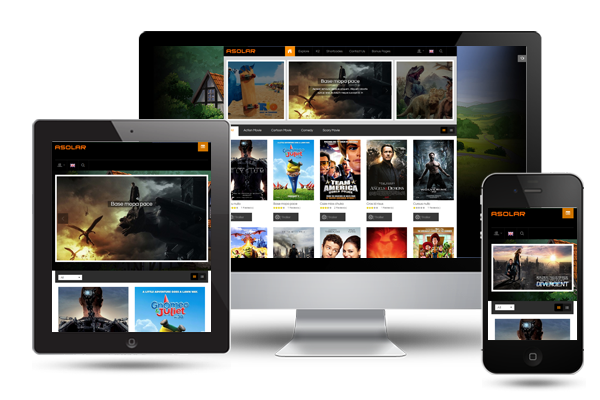 Designed with responsive layout and 6 amazing preset color styles for various contexts, this would be a powerful template to show many types of movie related websites without any limitations. The viewers will be impressed by the flat design, neat typography, smooth navigation and 2 layout styles: Boxed and Wide. 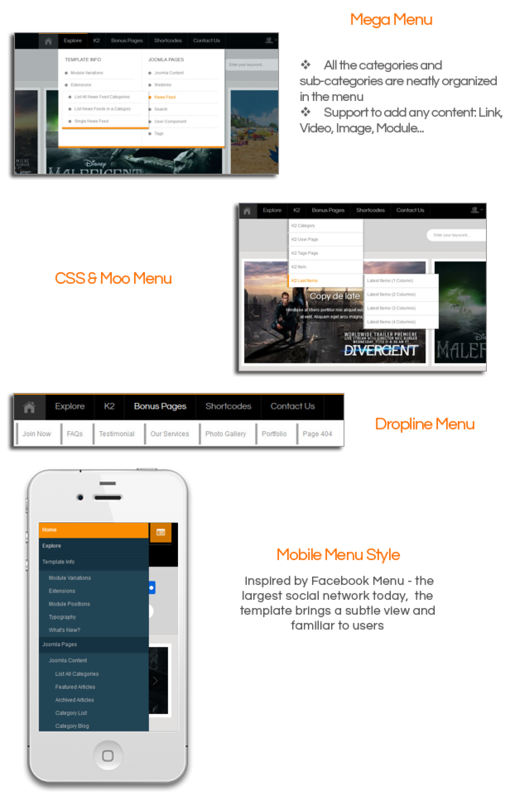 This responsive template should be utilized for cinema, movie promotion, theatre site … you can also style personal site as the way you want, of course. 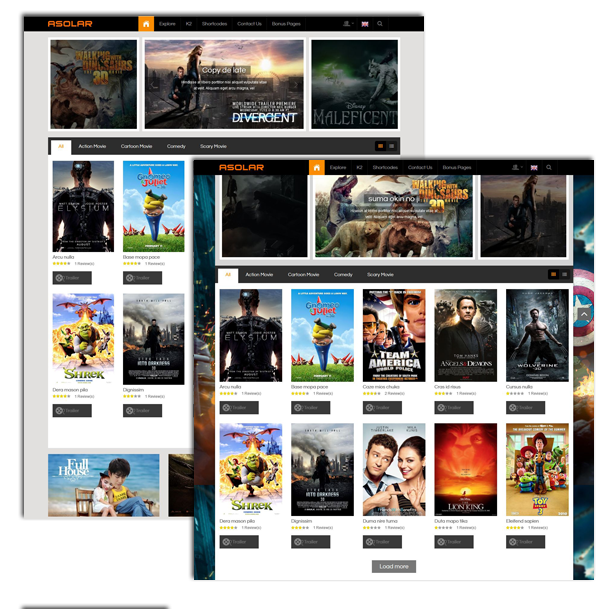 With many in-house extensions that we have created for this template such as: SJ K2 Carousel to show your hottest news in the beautiful way, SJ Social Media Counter...We're sure that you will have a Dynamic World Of Movies website to get highest your visitor's attention. In addition to the beautiful skin, so this responsive joomla template is a totally flexible design as well as dozens of configuration options included: colors scheme, menus, typography, google font... can be tweaked quickly to suit any need. Now let's take a SJ Asolar tour to feel more! 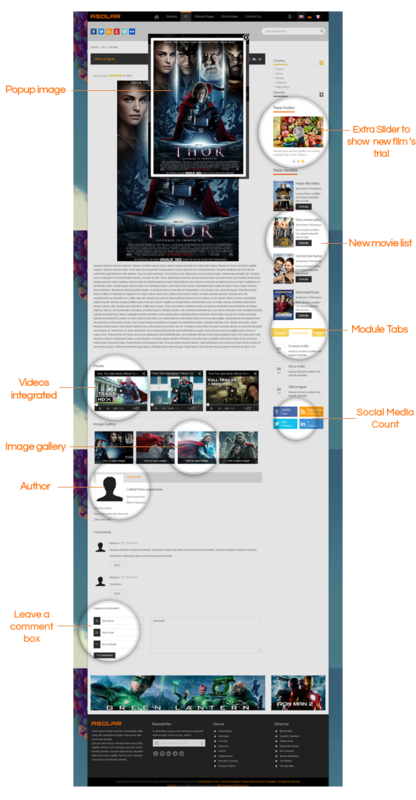 Operating on the YT Framework v2 - a powerful responsive Joomla framework, this template is a totally responsive design as well as many configuration options included: colors scheme, menus, typography, google font... All these features can be tweaked quickly to meet modern standards of web technologies. Specially, this is compatible with Auto Updater component of Joomla! to update framework any time to latest version from our repository. 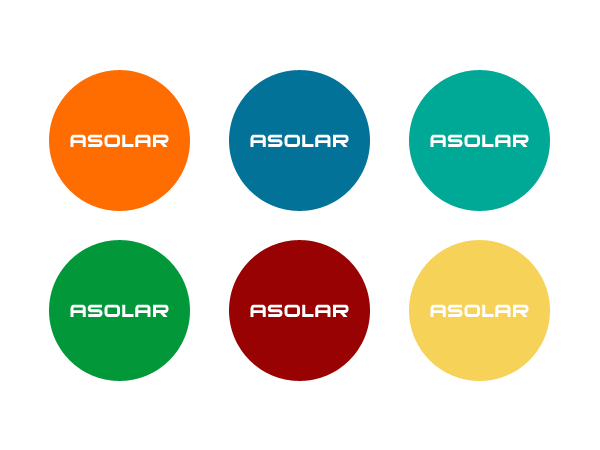 SJ Asolar is developed by Bootstrap CSS3, HTML5, LESS. 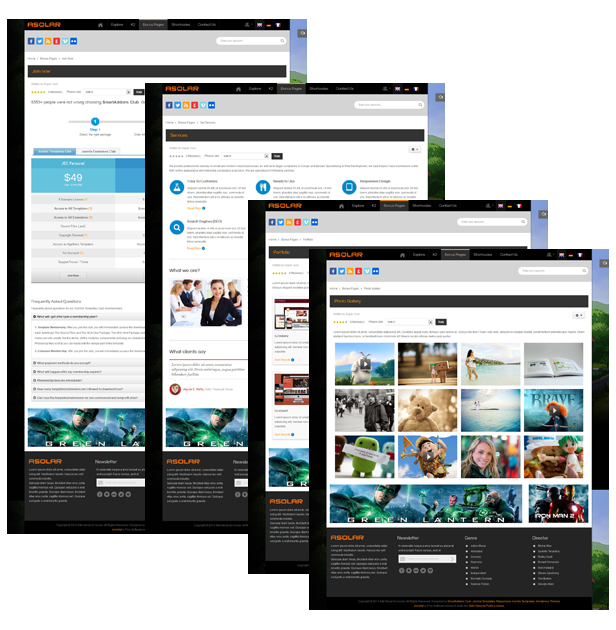 It makes this responsive template is extremely flexible to customize. With Bootstrap, this template offers mobile users with user friendly and fantastic layouts that resize to fit any screen resolutions. 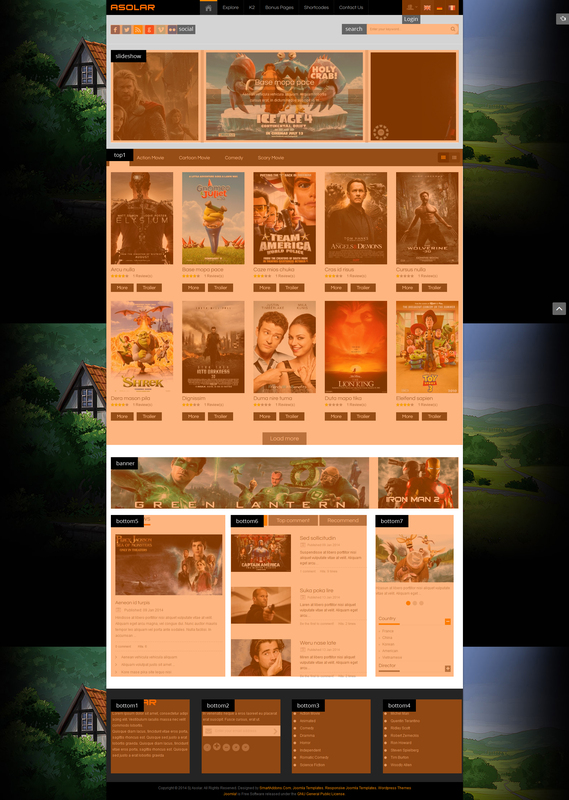 Coming with 2 layouts of Homepage: Boxed and Wide. With boxed layout, all colors, backgrounds and patterns are changeable to fit your idea. There are 6 Preset Color Styles: Orange (default), Blue, Red, Green, Yellow and Cyan to you choose. Besides, this template gives you the full control in customizing color schemes in back-end. You can also totally change your color for all parameters: body, header, spotlight, footer... by using c-Panel. 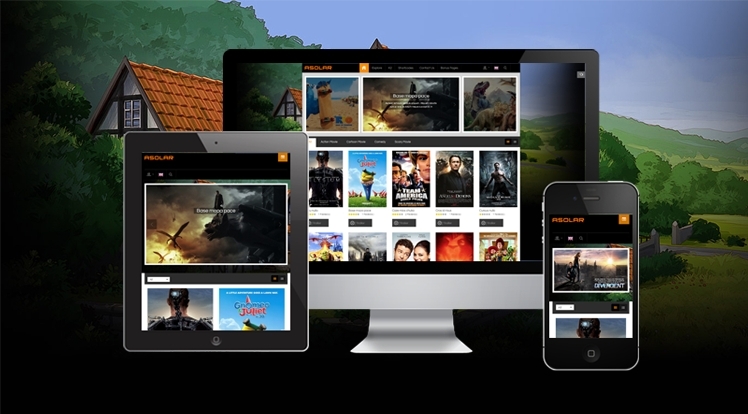 The template is designed to be fully responsive layout that adapts perfectly for any screen resolutions like desktop, iPhone, iPad and other Smartphone devices. 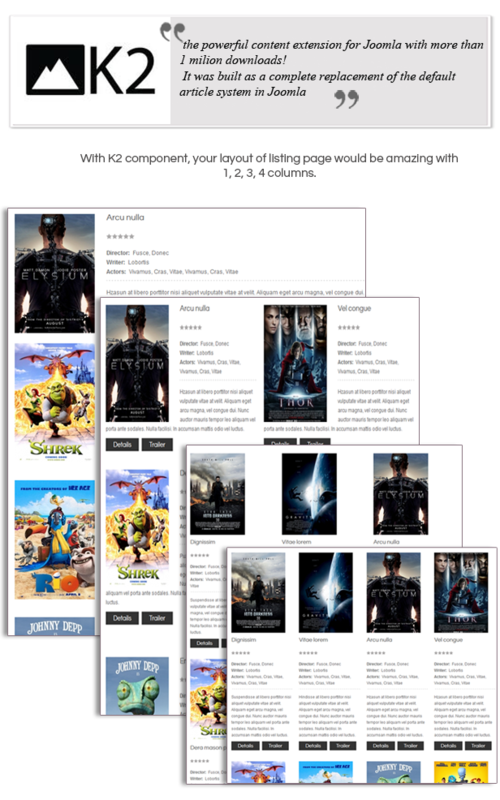 SJ Asolar supports 3 types of menu: Super Mega Menu or Simple with Css Menu, Split Menu and Dropline Menu. 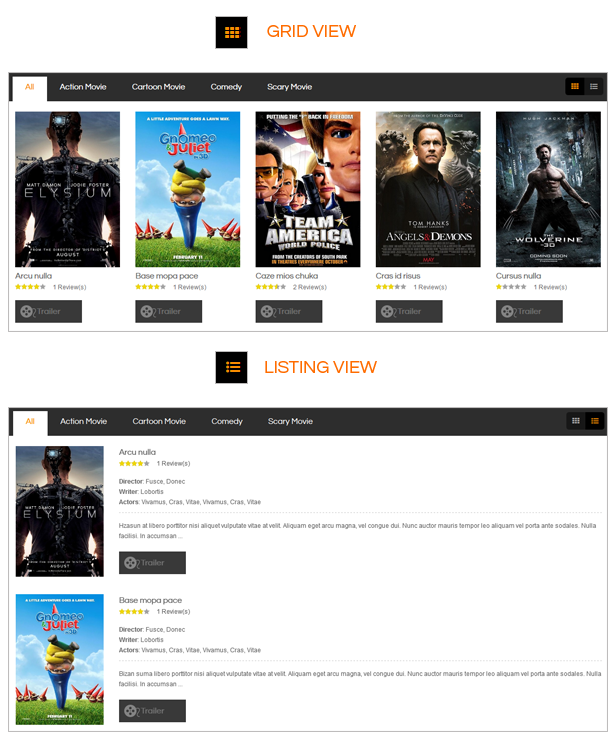 With our Mega menu, you can add a multi-category, multi-article with description, price, image, video, effects... or even modules. By using Powerful Carousel Slider, your featured items will be shown more beautiful with the necessary information like images, titles, brief descriptions and nice effects. This template supports 2 types of layout. You can change view easily by the Grid and List button. At this Homepage, SJ Asolar used SJ Responsive Listing for K2 to display all products in category according to tabs. 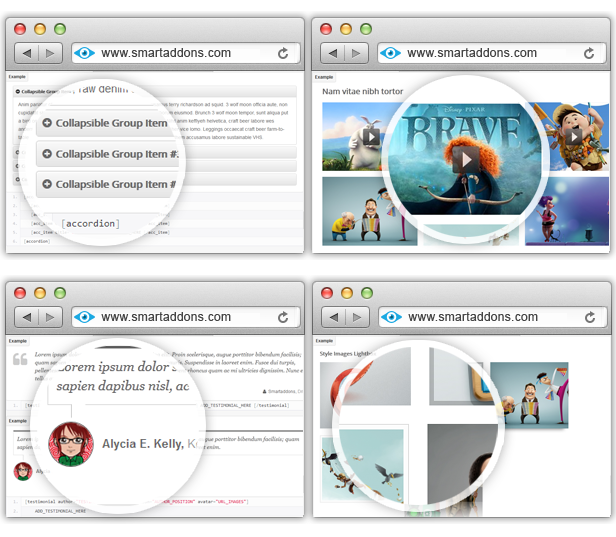 You can quickly and easily show your items more attractive on the homepage. Just click "Load more" button, the list of more products will be loaded in short time. 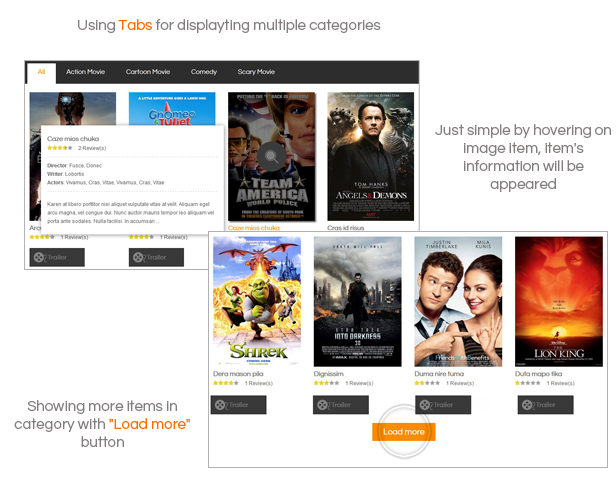 SJ Asolar is equipped with the best content extension - K2. This extension used by millions Joomla users around the world, become easier than ever to build a nice blog right on your website. With K2 Component you can freely to manage article and category with so many functions that are integrated. Easily switch between different languages. 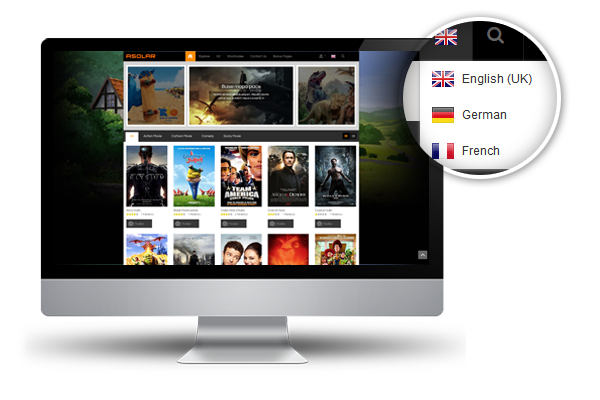 Overseas customer can view your site with their language just by one click. Get these awesome 7 bonus pages: Our Service, Portfolio, Join now, FAQs, Testimonial, Photo Gallery, Page 404. All ready for you to build the responsive Joomla site for your store. Easily create attractive page with various short-codes such as Accordion, Vimeo, Slideshow, Pricing table, Google Maps... are available to set up easily interesting and complicated content layout without having any coding knowledge. Social networks offer ability to closely connect all your customers wherever they are. So, SJ Asolar gives a convenient way to engage your customers' attraction by integrating with social network (Facebook, Twitter, Pinterest, G+, Youtube...) and quick promotion ads. WHAT ARE INCLUDED IN DOWNLOADABLE PACKAGES?? This package includes template, modules and sample data. By using this package, you will have a complete site look like demo site.